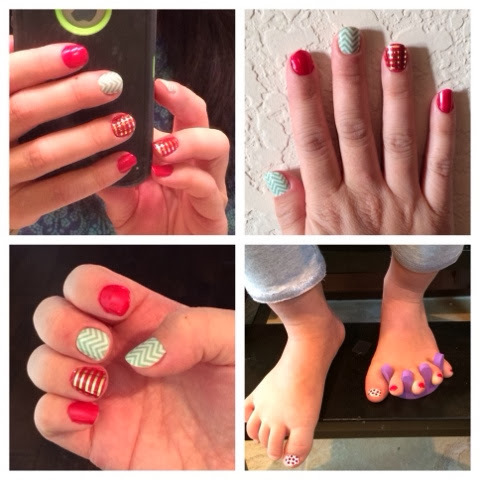 Pictured below are the mint and white chevron and the golf stripes (clear) over red nail polish. My other two nails have plain red polish. I'll post a day 7 pic when the time comes as well as a day 14 pic so you can see the comparison. On my 4 year old daughter, I placed a jamberry junior ladybug nail wrap on her big toe.